For discussions and posting of your deep space pics. 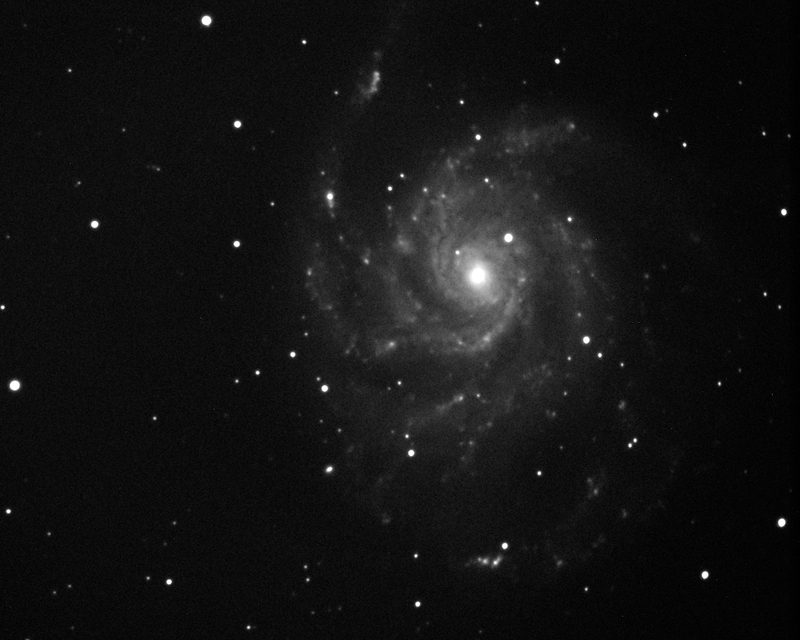 Here is an image of M101 taken 15th April. 15x300sec QHY8L with 10" Meade ACF @F10, and by accident binned 2x2 - doh ! Hope to try again with correct camera settings. Thought I would post it anyway - this a a big galaxy !